LOS ANGELES — Many who follow the National Hockey League know all the current players on their favorite team’s roster, as well as the top draft picks throughout that team’s system. But once you get past their first and second round draft selections, the rest of their young prospects generally fly way, way under the radar. Along those lines, for those who follow the Los Angeles Kings, the name, “David Kolomatis” is likely to be a head scratcher. Nevertheless, the Kings’ fifth round pick (126th overall) in the 2009 NHL Entry Draft has quietly moved up the organizational depth chart. In fact, it appears that he has even moved past highly touted, 2007 first round pick (fourth overall) Thomas Hickey. 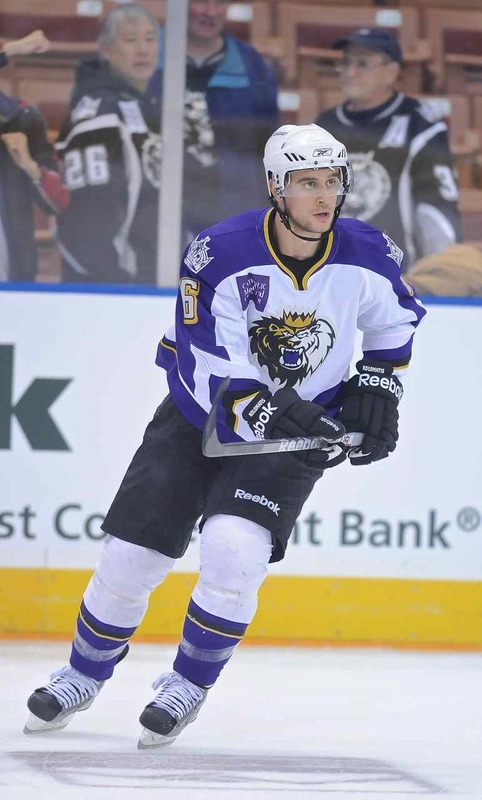 Last season, Kolomatis got himself noticed a bit more by scoring five goals and adding 25 assists for thirty points in 58 regular season games with the Manchester Monarchs of the American Hockey League, the Kings’ primary minor league affiliate. This season, Kolomatis became one of the Monarchs’ power play quarterbacks, the other being defenseman Slava Voynov, who plays on the team’s top power play unit. Although he was a healthy scratch in the Monarchs’ first game of the season, Kolomatis is ranked third on the team in scoring (he leads all Manchester defensemen), with three goals and three assists for six points in six games. All three of Kolomatis’ goals, along with two of his assists, came on the power play. “When Kolomatis was healthy, he seemed to have great chemistry in finding [Kings 2012 first round pick, and Monarchs left wing] Tanner [Pearson] in front of the net [on the power play],” said Morris. Pearson has scored two goals in eight games this season, both coming in the same game, and both scored with the man advantage. “And they came off the stick of David Kolomatis,” Morris noted. As Morris indicated, Kolomatis is now out of the lineup due to an injury, one that required surgery on his hand. Perhaps the biggest factor in Kolomatis’ rise was extra dedication to strength and conditioning training this past summer. “The main thing was not so much bulking up and getting stronger, but making sure that I was explosive, quick, and able to move around on the ice a lot better,” he added. Despite that, as a smaller player, his greatest challenge on his way to the NHL is strength. Kolomatis also pointed to the need to be a lot more consistent. An indication that Kolomatis’ added strength, improved skating, and quickness has made a difference is that he was getting time on the penalty-kill before he went down with the hand injury. Is LA Kings Blue Line Prospect Thomas Hickey Sliding Down The Depth Chart?